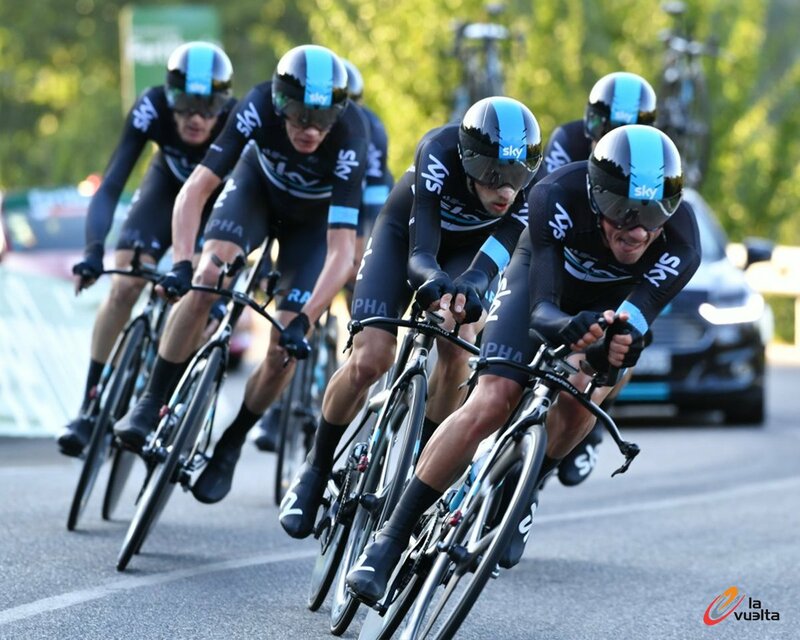 Team Sky won today’s opening Team Time Trial (TTT) of the Vuelta a España, ultimately clocking the fastest time of 30:37 along the 27.8-kilometer course from Ourense to Castelo de Miño. 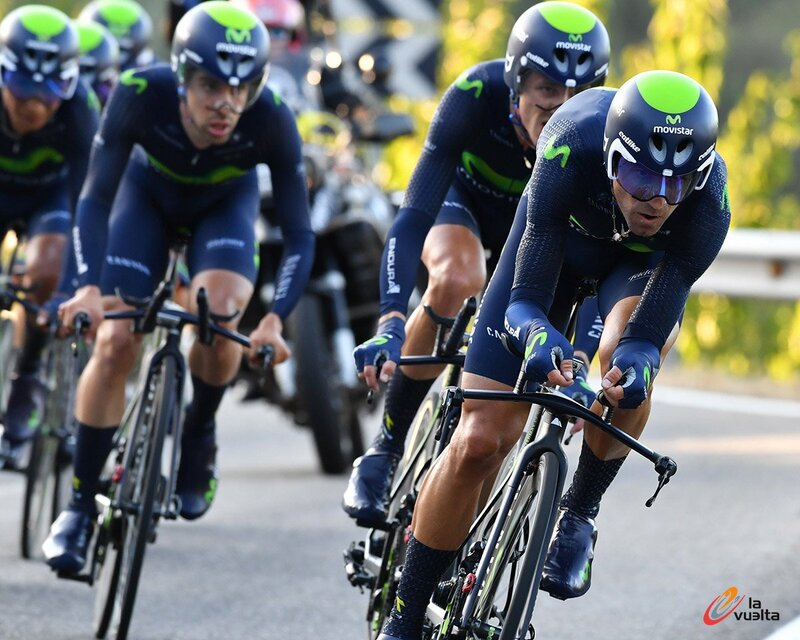 The British squad narrowly defeated Movistar by less than a second, while Orica – BikeExchange claimed third spot on the podium after beating BMC Racing by a mere second as well. Peter Kennaugh was the first Team Sky rider to cross the finish line, and therefore he was awarded the red leader’s jersey. Team Sky beat Movistar by fractions of a second in the 28.7-km inaugural team time trial in Castrel de Mino to make Peter Kennaugh the first leader of the 71st Vuelta on Saturday. The race opener was a tight and promising battle between Chris Froome’s and Nairo Quintana’s teams with Esteban Chaves’s Orica-BiekeExchange a close third, six seconds behind. 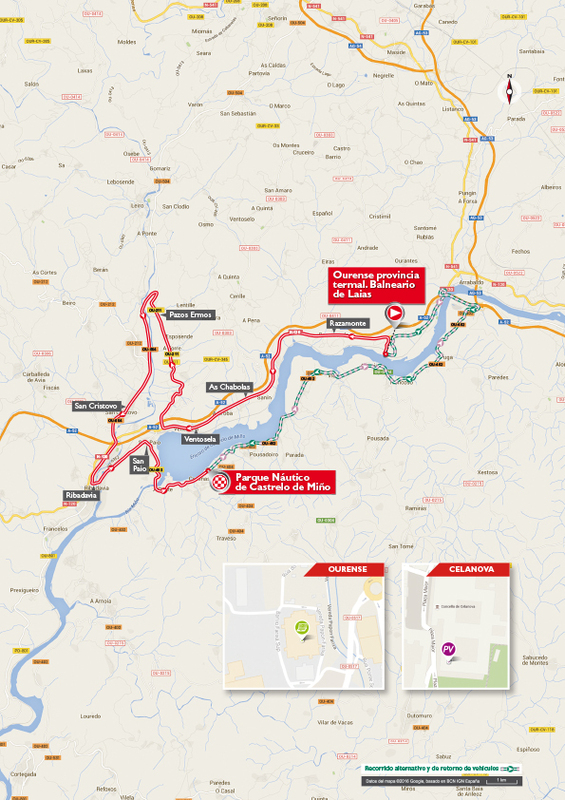 Team Bora Argon 18 were first in action, launching the 2016 Vuelta at 18:26 and the Pro Continental team set a solid reference time of 31:34. Team Astana had won the inaugural team time trial in Galicia in 2013 but they saw their hopes to emulate the feat vanish quickly when their leader Miguel Angel Lopez suffered a mechanical. As a result, the Kazkah outfit finished just a second outside the time set by Bora Argon. It took the real specialists to improve the mark. Etixx-Quick Step, the inaugural team time trial world champions in 2012, first broke the 31-minute barrier on 30’59” with only five riders left, while most other teams were trying both to limit the damage and spare their climbers. 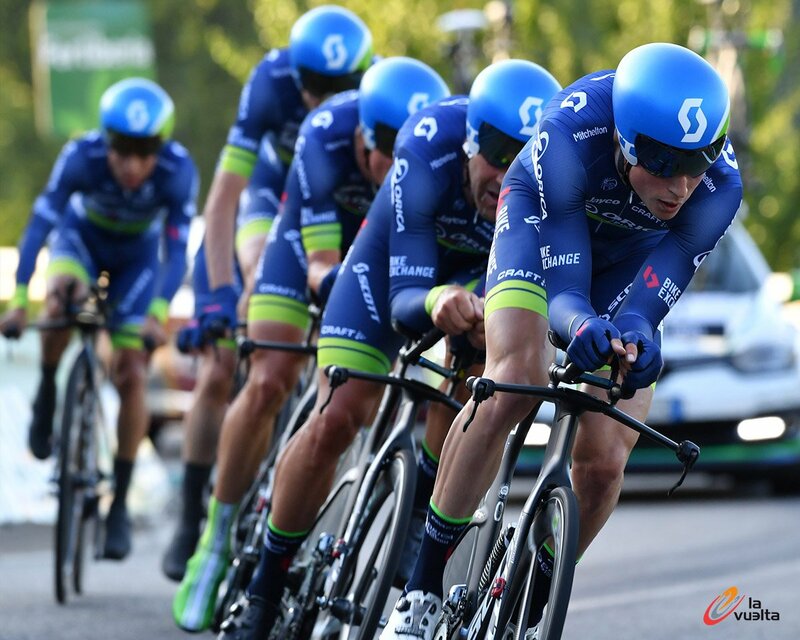 Orica-Bike Exchange also had decided to give it their all and they improved the Etixx-Quick Step time by 16 seconds with Damien Howson leading the way. Winners of the Vuelta opener a year ago in Marbella, BMC were again strong favourites and they set the intermediate fastest times before faltering in the finale to miss top spot by one second. Howson looked set to be the unexpected first red jersey in this edition. But Movistar had other views. 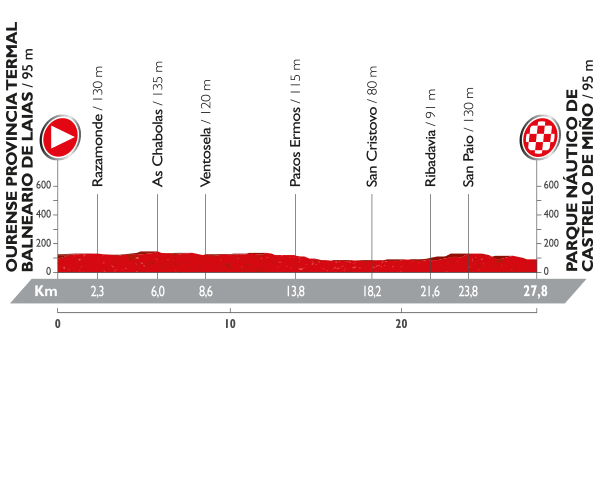 A swashbuckling finale saw them surge from behind to take six seconds off the Orica-BikeExchange team, Alejandro Valverde crossing the line first and contemplating a 28th day in red. Still the suspense was far from over as Team Sky clocked the same mark, only beating their Spanish rivals by fractions of a second. It was more than enough anyway for twice British champion Peter Kennaugh to try on the Vuelta leader’s red jersey.